General Admission $45, reserved $90. Service fees not included. 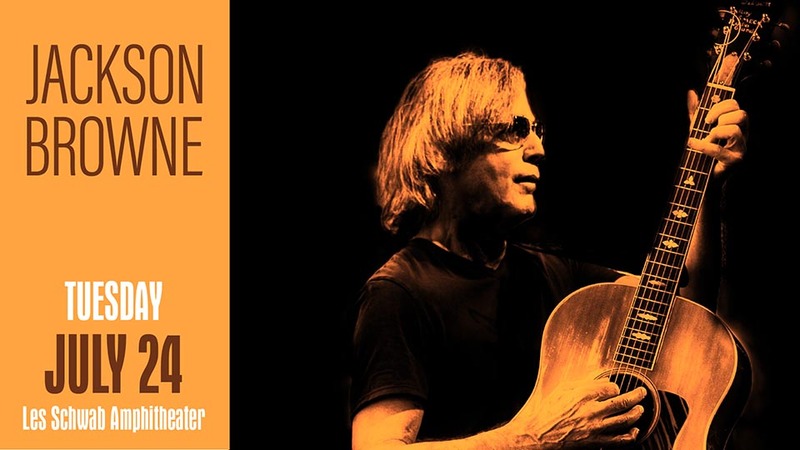 Jackson Browne, who was introduced into the Rock and Roll Hall of Fame in 2004, has written and performed some of the most literate and moving songs in popular music. Except for a brief period in NYC in the late 1960s, Browne has always lived in Southern California. His debut album came out on David Geffen’s Asylum Records in 1972. Since then, he has released 14 studio albums and four collections of live performances. His most recent studio album, Standing In The Breach, is a collection of 10 songs, at turns deeply personal and political, exploring love, hope, and defiance in the face of the advancing uncertainties of modern life. Browne is known for his advocacy on behalf of the environment, human rights, and arts education. He’s a co-founder of the groups Musicians United for Safe Energy (MUSE) and Nukefree.org and a member of the Ocean advocacy group, Ocean Elders. Additionally, in 2002, he was the fourth recipient of the John Steinbeck Award, given to artists whose works exemplify the environmental and social values that were essential to the great California-born author.